From Goodreads ~ Who was Maurice the man and who was Mad Dog the character? Maurice “Mad Dog” Vachon was a gold medalist, a pro-wrestling legend and a pop culture icon - but he was also a son, husband and father. 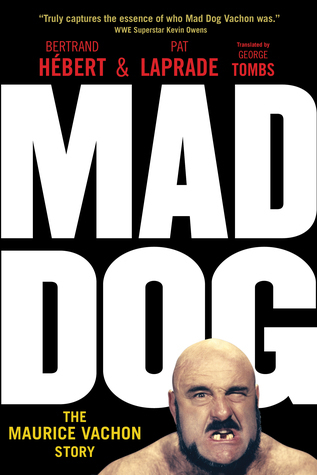 "Mad Dog" explores Vachon’s career and personal struggles with painstakingly detailed historical research and through both Maurice’s own recollections and those of the people who knew him best. As a young man, Maurice could have chosen a dark criminal path but then wrestling and family changed him. Chronicling his slow but steady rise to prominence across America and internationally in some of pro wrestling’s most important territories, this in-depth biography shows how Vachon’s life came to be defined by the words of Mark Twain: “It’s not the size of the dog in the fight, it’s the size of the fight in the dog.” Fiercely proud, motivated, and supremely talented, Vachon’s story is also the amazing tale of how a lifelong make-believe heel became a real-life hero outside of the ring. Maurice "Mad Dog" Vachon (1929 − 2013) was a Canadian professional wrestler. He started his career as an amateur wrestler, participating in the 1948 Summer Olympics and winning a gold medal at the 1950 British Empire Games. 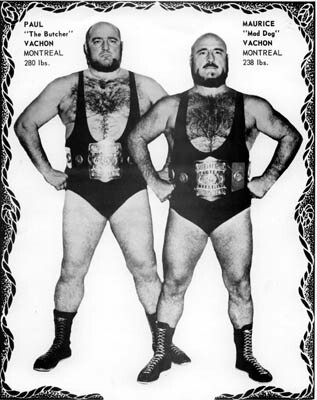 Vachon eventually made the switch to professional wrestling and spent time in various promotions in the Canada and the United States and occasionally teamed with his brother, Paul. He was one of the all-time great heels, known for his wild style and intense interviews. 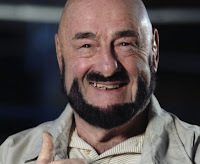 Vachon retired from wrestling in 1986 and got involved in various things such as owning a chain of restaurants bearing his name, hosting a children's show and as a commentator at wrestling matches. In 1987, he was struck by a hit-and-run driver, resulting in the amputation of one of his legs. Over the years, his health declined and he ended up with dementia. I like reading bios and thought Vachon's story would be interesting. I was into watching wrestling as a kid and recognized his name. Over the years, he was influential in helping the careers of many famous wrestlers such as Roddy Piper and Hulk Hogan. His personal life story was also interesting ... he was married three times and had six children he didn't get to see much because of his career. Despite his crazy wrestling persona, it sounds like he was fiercely loyal to his family and friends. There is a lot of detailed information about Vachon's career and it's obvious the authors spent a lot of time researching.